Athletes today are bigger, stronger, and faster than they were just a decade or so ago. Men and women are becoming more competitive thanks in part to technological advancements designed to improve workouts and recovery time, as well as a better understanding of athlete physiology and the advent of new training exercises designed to maximize an athlete’s potential. With these innovations, however, come drawbacks. Playing a contact sport like football has become more dangerous as athletes pile on the muscles, speed, and agility. The rise of brain injuries like CTE, as well as knee, shoulder, or back strains, have resulted in increased usage of painkillers that have become alarmingly dangerous and addictive. The United States is currently in the middle of a national opioid addiction and overdose epidemic. In 2015, there were 20,101 overdose deaths related to prescription pain relievers. The same year, heroin contributed to 12,990 overdose deaths. In 2015, opioid overdose deaths surpassed gun homicides in the United States. This epidemic is only growing stronger, in part because companies like Insys, who makes the widely used and abused pain killer Fentanyl, are getting involved in local politics. They’re donating to politicians and other initiatives that could possibly contribute to the rise of painkiller use/abuse. These companies only seem to care about one thing, and it’s not the health and well-being of Americans, it’s money. Unfortunately, the cavalier attitude towards prescription painkillers has trickled into sports. Doctors in professional sports are handing out painkillers like Fentanyl to the players like candy. As a result, a growing number of former athletes, mainly in the NFL, suffer from opioid addiction problems, creating the need for the NFL and other professional leagues to find alternatives to how to treat these persistent pain problems athletes face. 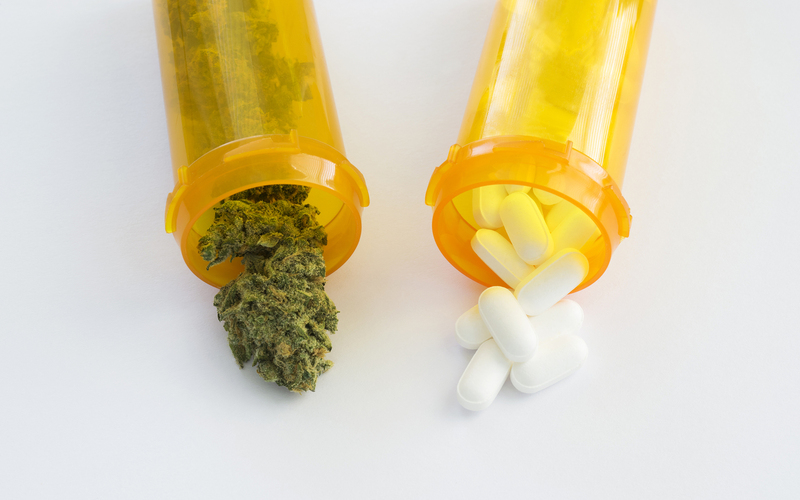 One possible alternative to prescription painkillers may come from certain components of the cannabis plant. Recent studies have found that cannabis could possibly reduce inflammation, acting almost like Tylenol. In fact, when comparing the anti-inflammatory potency of THC and other drugs that are on the market, THC has 20 times the anti-inflammatory potency of aspirin, and twice as much as hydrocortisone (Evans 1991). Intense sports competition or physical activity can act as a stressor on the body, resulting in the release of molecules called cytokines that have pro-inflammatory actions. Despite the long-term benefits of exercise, there is no doubt that in the short-term, high-intensity exercise leads to inflammation. Over time, this can cause damage to muscle tissue, leading to pain and soreness. There has been emerging evidence that cannabis reduces pain, muscle spasms, stiffness, and inflammation in humans. In particular, cannabis has been associated with the reduction in levels of specific pro-inflammatory cytokines. THC has been shown to stimulate production of some of the body’s natural painkillers, such as beta-endorphin (Manzanares et al 1998). For this reason, cannabis may help prevent the development of tolerance to and withdrawal from opiates (Cichewicz and Welch 2003). Think of it this way: an athlete may need to take a prescription opioid painkiller due to an injury that causes intense pain. But for injuries that cause long-term, chronic pain, the pain-reliving properties of opioids may be outweighed by their addictive potential. Cannabis isn’t as potent a painkiller as opioids are, but it can help with pain and inflammation, and help athletes wean themselves from opioids. Plus, compounds like CBD might actually be useful for decreasing the anxiety and withdrawal symptoms that can make it so difficult to stop taking opioids. More recently, other compounds in the cannabis plant have been found to possibly help pain treatment. Some of the terpenoids and terpenes, the fragrant oils that give cannabis its aromatic diversity, also display numerous attributes that may be germane to pain treatment (McPartland and Russo 2001). Though different parts of the cannabis plant are showing promise when it comes to treating pain management as well as other medical conditions, more research is needed. Research may be hard to come by though, as cannabis is still federally illegal in the United States, making it very challenging to get permission to do studies on cannabis. Even though there is still room to be made with researching the possible medical benefits of consuming cannabis medicinally, there are already people out there in the pro sports world rehabbing their beaten body with medicinal cannabis. 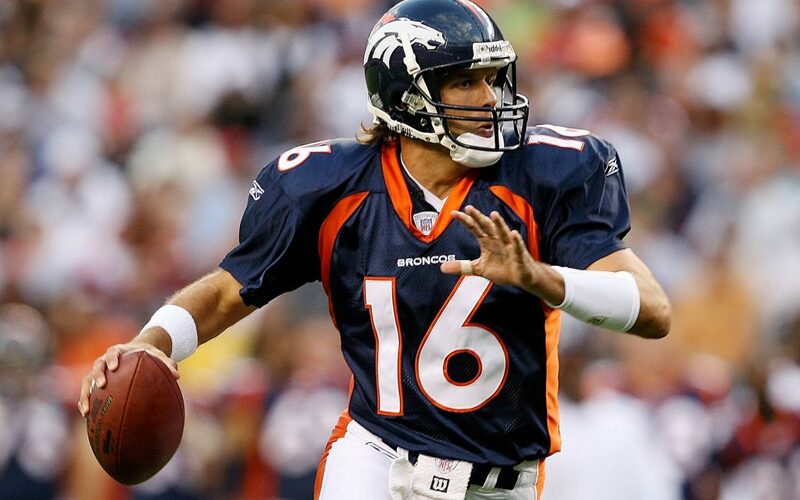 One of those former pro athletes is former All-Pro quarterback for the Denver Broncos and Arizona Cardinals, Jake Plummer. After playing 10 seasons in the NFL, Plummer retired from the game in 2007 and would soon try to find something to help him deal with his lingering post-football injuries. The answer for Plummer was to consume cannabis and CBD to help fight the daily pain he was feeling after his playing career. Plummer told Leafly that he now regularly uses the CBD strain Charlotte’s Web in oil form. He takes the strain in liquid, oil form out of a dropper at the beginning and end to his day. Plummer added that having a general overall feeling of health and well-being can be “liberating,” especially after taking the punishment he did playing professional football for a decade. For this former professional athlete, Charlotte’s Web oil, and cannabis in general, have helped speed up his recovery process – though, as Plummer said, cannabis and CBD will not fix everything. “It is not going to fix my L5 spondylolisthesis or some other injuries that happened to me, leaving parts of my body compromised, but I can tell you this: The pain and feelings of pain and stiffness and occasional debilitating pain that I used to have, when I would be active in any way—is gone now,” he said. 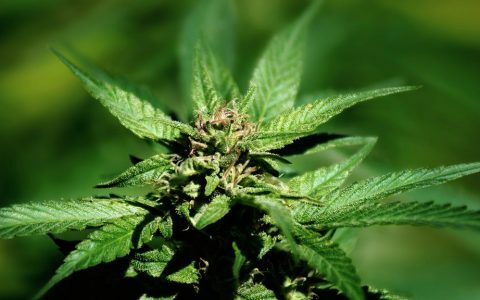 Next articleCannabis Use in Australia Has Dropped Significantly. Why?